This week's Top Ten Tuesday topic from The Broke and the Bookish is 2016 Releases I Meant to Read but Didn't. Can my answer be all of them? There are so many great books that came out this past year and I feel like I barely scratched the surface! 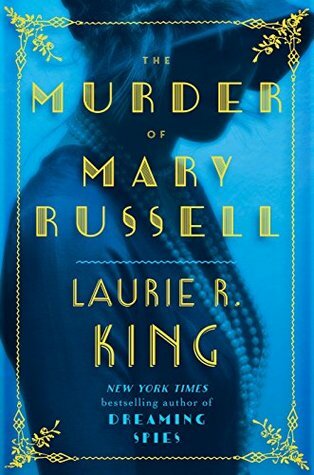 The Murder of Mary Russell by Laurie R. King - I love this series though I'm a few books behind. I had hoped to catch up in time to read this before it came out but no such luck. I'm planning to get to it this year though because I'm so intrigued by the title! I mean how can I not be when the main character is murdered in the title?? The Study of Seduction by Sabrina Jeffries - Sabrina Jeffries is one of my favorite historical romances and I severely neglected that genre in 2016. I'm looking forward to reading this one and getting back into the genre as a whole. Chin: The Life and Times of Mafia Boss Vincent Gigante by Larry McShane - One thing you may not know about me is that I got obsessed with 1920s/30s mob figures for awhile and read every biography available. Gignate is a little more modern but I'm still intrigued. I was so excited when I got this one and have no idea why I ended up not getting around to reading it. Written Off by E.J. Copperman - I've read and enjoyed a previous series by Copperman about a haunted inn so I'm really curious about this new series involving an advice columnist. Blood of Saints by Maegan Beaumont - A cold case, 2 characters hiding from the past and a super creepy looking cover? How can I resist? 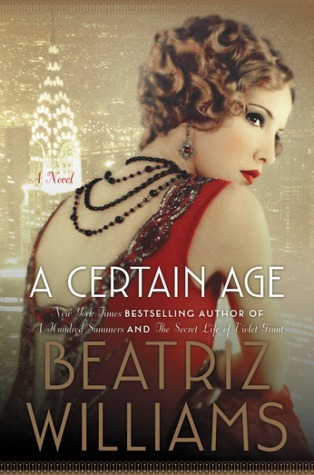 A Certain Age by Beatriz Williams - I have been wanting to try Beatriz Williams' books forever and this one looked so good! Luckily I'm on a tour for it that's coming up soon so I know I'll get it read this year! Do You Want to Start a Scandal by Tessa Dare - I've heard fantastic things about Dare as an author and then this book was described as Regency Clue. I must read it! Read to Death by Terrie Farley Moran - I read and loved the 2nd book in this series and actually pre-ordered this one. I have no idea why I haven't actually read it yet. The Lion in the Living Room by Abigail Tucker - We watched the documentary on Netflix and were fascinated by it. Even the Tornado liked it! I'm super curious about the book because there were so many things that were just lightly covered in the documentary that I hope are more thoroughly explored in the book. A Gentleman in Moscow by Amor Towles - This one just sounds so fascinating. I love Russian history and the idea of this man's life unfolding in a hotel all sound so interesting. I'm hoping to read it this year. What 2016 releases did you mean to read but didn't? There are just too many book sand so little time!! Hope you get to all of these! I had to go back to goodreads to double check if I read The Study of Seduction by Sabrina Jeffries - I knew I wanted to! Of course, NO, I hadn't - I should have known since surely I would have remembered it. I loved the first book in that series though and I have The Study of Seduction for review so I'll get to it, soon hopefully! Some bloggers I really trust seem to really like Beatriz Williams. I really need to read her, too! I love Beatriz Williams - A Certain Age was not my favorite of hers, but it was still a good read. The two covers you share here are both beautiful. I hadn't heard of The Lion in the Living Room; now I want to both watch and read it! A Certain Age sounds pretty good! I hope you get to these! Regency Clue?? Nice! And thanks for reminding me of Moran's series- I've only read the one but I enjoyed it. The Murder of Mary Russell sounds interesting. You haven't read Tessa Dare yet? you so should! I recommend starting with Romancing the Duke. Or starting with the Spindle Cove books, which Do You Want to Start a Scandal is a part of. So hard to read all the books we want to! And that cover for A Certain Age is just gorgeous, it makes me want to go buy it. Always so many books we want to read and didn't get to. A Certain Age is one I want to read but never got to and I think it will be her 2017 book I read before I do. I'm not familiar with any of these, but based on most of the titles I would enjoy them. I hope you get around to reading them this year! I have seen a few of these around but don't really know anything about them. I hope you enjoy them once you get a chance to read them all. Story of my reading life, that... Had to laugh! Hope you get a chance to catch up. I haven't read any of Sabrina's work in a while because, but she is a wonderful writer. I'm fascinated with crime figures too, but not as much as I used to be when I was younger. Something about 1 person being able to control so many people and to make them do wrong is interesting. I just watched Narcos about Pablo Escobar on Netflix. I read about him years ago, but the series was something else!. It's hard to fathom how much this man loved his family, but could order people to be massacred without any remorse. I love the Cover of A Certain Age! I am looking forward to seeing what you think of that one. I've heard a lot of great things about A Certain Age. Happy reading! Thanks for reminding me that I need to read The Lion In the Livingroom, too. Ha!